HomeCOMMENTARYEmpire Building: US Military Deployed Across the Planet – At What Cost? 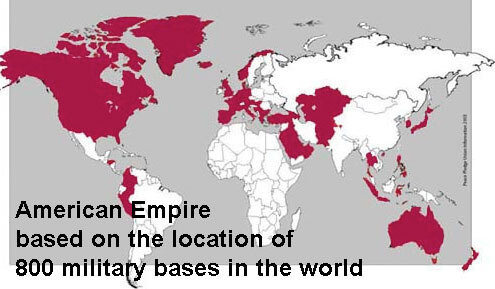 Empire Building: US Military Deployed Across the Planet – At What Cost? As an individual who spent eight years in the military (Navy Nuclear Submarine Fleet), and then about two additional decades working for the Military Industrial Complex (Raytheon), traveling the globe to facilitate government contracts … I think I have an understanding about this topic that would escape most. This is not how I originally looked at the following … but sometimes amazing things happen when you disassociate and really LOOK back … I think we call that waking up! So please take a few minutes and delve into a very important topic and one that becomes more relevant daily. 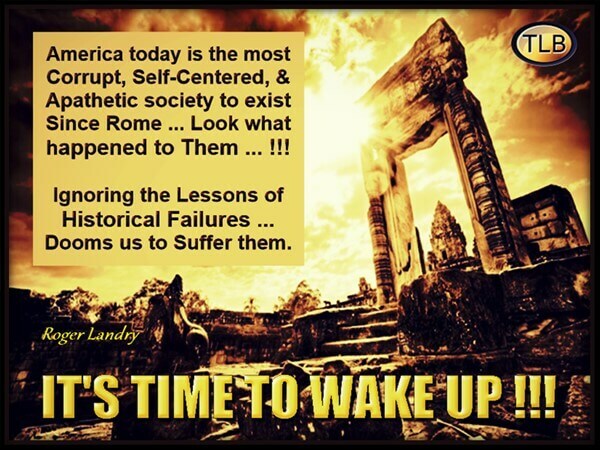 Today we increasingly suffer a world flirting with economic and societal reset (collapse) … and this is intentional. What role does the American military behemoth play in this cascading scenario? Why, if our deficits and debt are so out of control we can barely take care of our own, is about half of every tax dollar collected (regardless of what you are being told) spent directly or indirectly on supporting the most powerful military juggernaut in history? And most damning … Who ultimately controls this massive military machine? In what follows I offer some probable answers, and include an excerpt form an article I wrote several years ago, but if you feel the situation has not worsened in the last year or two … Your ignorance is showing! 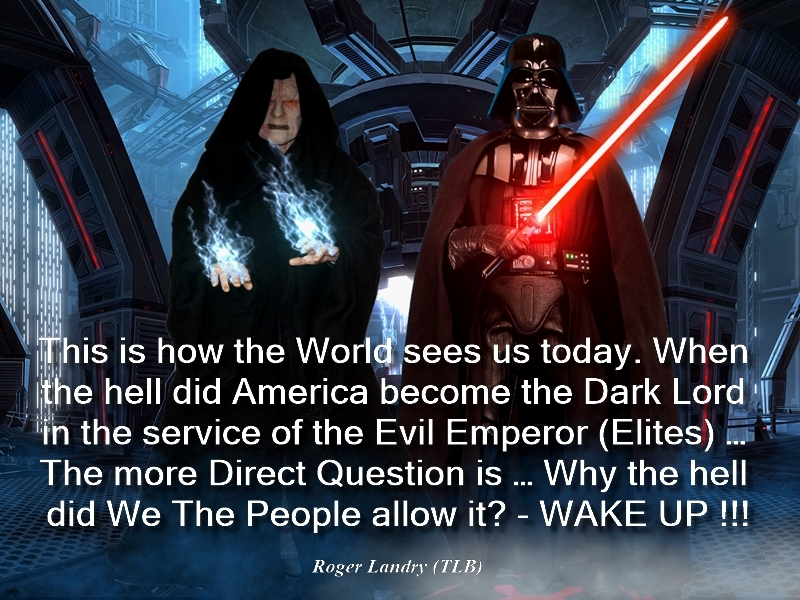 The Massive Elite controlled/owned US Empire, its military monster, and thus the military industrial complex, is out of control, and doing irreparable damage to not only the world … but also to We The People and America! In the guise of “Spreading Democracy” this cabal is destroying not only sovereign nations, but also the fundamental security of America. This country is directly or indirectly, responsible for over four million deaths (actual number may be much higher) in the war torn middle-east, and a total of between 20 and 30 million souls of other sovereign nations like Ukraine, Libya, Iraq, Afghanistan, Sudan, Syria, etc…, etc…, etc…, since WW II, and we are also spreading our “Democracy” overtly or covertly, into Africa, South and Central America, etc…, etc…, etc…. Paris, Beirut, Manchester … hell all of Europe and ever increasingly, America, have been thrown into a constant state of (intended) fear and chaos as a result of the plans and goals of a corporatist elite, the same elite that owns the big guns (such as the USA and NATO countries) and control a vast majority of this planets wealth. Lives do not matter, we are all (Americans have no special immunity) merely cattle to be used and then … well you know what eventually happens to cattle. The only thing that truly matters to this one percent, or self defined elitist caste is … their desired goals! Americans as a society in whole, are so naive or ignorant with respect to global politics and what drives this mechanism. I would say with total confidence that the majority of citizens of this nation which exercises the largest influence on the politics and economics of this planet, displays the most ignorance and apathy of actions taken in our names, on this same global community. We are told something is bad, so we automatically believe this and take it for a fact. We are told something is good so again we believe and support it unconditionally, because after all we heard it on CNN, CBS, NBC, ABC, FOX NEWS etc…, from our President, or one of his administrations appointee’s, so it must be true! 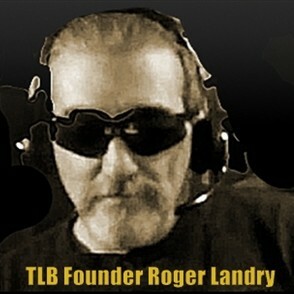 Then we shrug our collective heads and go back about our self centered business. 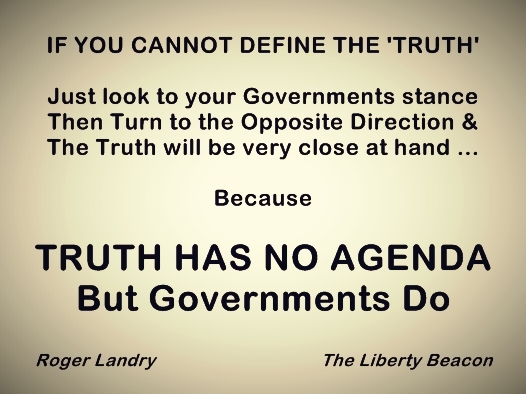 The absolute fault in this logic is that every organization or individual driving our system today has an agenda, and to support this agenda the news is propagated through a filter who’s parameters are determined by this very same agenda. America is now a country perpetually at war and is directly responsible via our military might, alliances, or its agents (such as ISIS), for the proliferation and perpetuation of hostilities on a global scale. Why, and who in this world is prepared to invade or conquer this country without fear of total annihilation from a nuclear strike? Answer NO ONE, but don’t look under your bed because the boggy man (terrorists) are hiding there and we must all be perpetually frightened and eager for our overlords to protect us in any fashion ‘they’ deem necessary. Why are we overtly interfering militarily in at least four to as many as eight sovereign nations simultaneously with our “big stick” prowess, and untold more covertly? And all the while many Americans are still suffering economically. 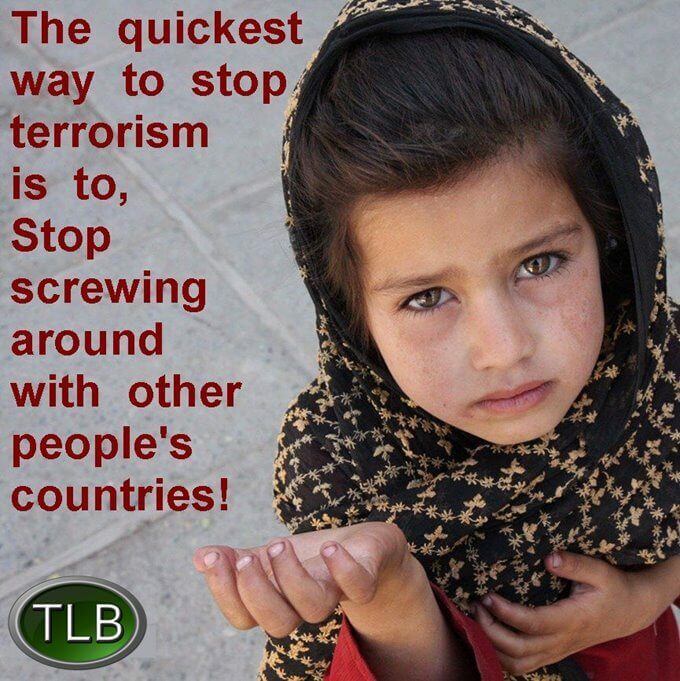 Please remember that the untold billions in funding for terrorist organizations or black budget projects will not appear in any recorded budget figures … anywhere … ever … !!! Please take the time to watch the series of short videos provided bellow for more comprehensive military spending history and situational breakdown. What could America do with even a portion of those funds, say $1 trillion a year leaving the military over $500-$600 billion a year (still the largest military budget on the planet)? How about we use those funds and put even more Americans to work rebuilding a collapsing infrastructure, invest in shoring up a failing education system, funding new hi-tech industry or research projects, get us back into space, put Social Security back on a solid footing, decrease the annual deficit, seal our southern boarder … build a wall … hell there are a thousand ideas that sure beat perpetual warfare, killing and the continuous manufacturing of more enemies of We The People! Shoulda, Coulda, Woulda, But … Didn’t! It’s time to wake up !!! U.S. Special Operations Command launched a raid in Yemen’s Baida Province on Jan 29, targeting Qassim al-Rimi, the leader of Al-Qaeda in the Arabian Peninsula. The first high-profile special forces operation of Trump’s presidency, the raid resulted in the deaths of at least 14 Al Qaeda fighters, 20 civilians and Navy SEAL William “Ryan” Owens. Three other Americans were reportedly wounded and an Osprey tilt-rotor aircraft was destroyed by U.S. forces after it was heavily damaged in a forced landing. Over the past few days, it has emerged that al-Rimi survived the raid and he has subsequently released an audio message taunting President Trump. As The Burning Platform’s Jim Quinn notes, special forces operations like the one in Yemen are nothing new. America’s elite troops have found themselves on the frontlines constantly since 9/11, conducting operations everywhere from the dusty back alleys of North Africa to the snow-capped mountains of Afghanistan. Even though they have made headlines for high-profile operations like the prison break near Hawija in Iraq or the raid on Bin Laden’s Abbottabad compound in Afghanistan, the vast majority of special forces missions across the world involve training friendly soldiers to fight, mainly so Americans don’t have to. Although US elite troops typically only appear in the media when an event of particular relevance (such as the capture and murder of Osama bin Laden in 2011), this does not mean that they are not active. As this infographic above shows, elaborated by Statista, these forces were present in 138 States last year or 70% of the world’s countries according to official Special Operations Command data published by TomDispatch. 55.29% of deployments were in the Middle East, a 35% decease since 2006. In Africa, deployments of elite U.S. forces skyrocketed 1,600 percent during the same time-frame. This child would not need to be asking for a handout, she lives is a country that had a very high standard of living, Libya! Free homes for married couples, free medical, free education through college, all paid for by the state! Poverty and hunger was almost non existent, until we came in and bombed them back to the stone age! Now poverty and hunger is rampant, and we have many more enemies! 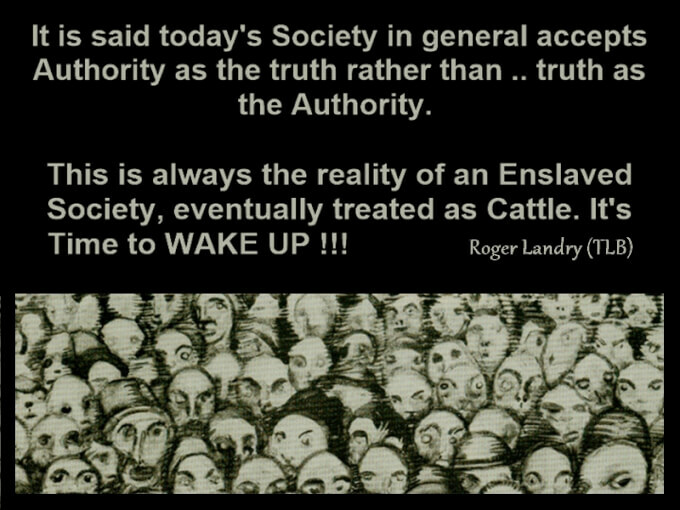 WAKE UP !!! 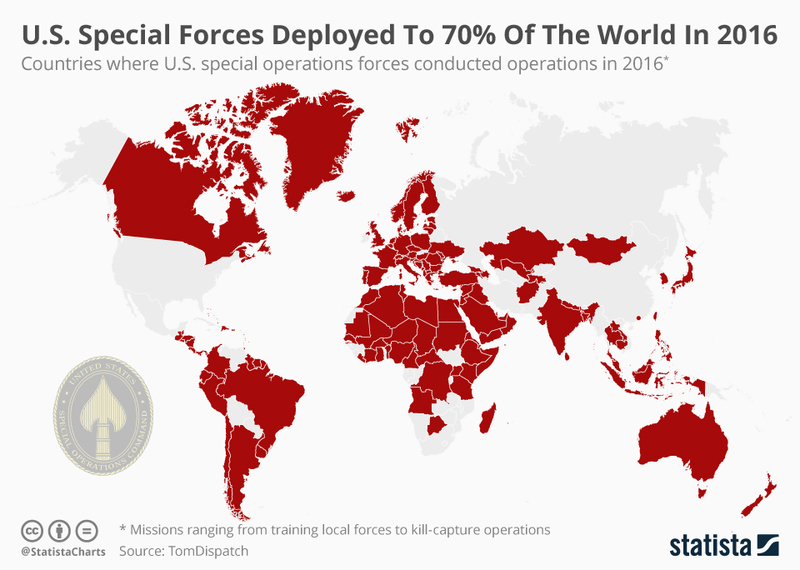 The attached short article (Empire Building: US Special Forces Deployed to 70% of The World In 2016) was contributed by The Daily Sheeple and is republished here with attribution to author Tyler Durden (of Zero Hedge) and TheDailySheeple.com.